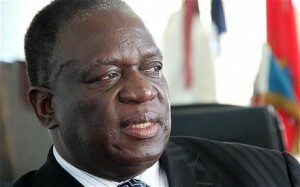 PLANS to oust Vice-President Emmerson Mnangagwa from the Zanu PF presidium, by pushing for the adoption of a women’s quota system, suffered a huge blow after only three provinces out of ten resolved to have a female elevated to the party’s presidium, Zimbabwe Independent has learnt. The call for the women’s quota, which Zanu PF insiders say is a plot by G40 — which is engaged in a bitter succession wrangle with Mnangagwa — is aimed at replacing the VP with possibly First Lady Grace Mugabe. A deeply-divided Zanu PF met for its annual conference last month in Victoria Falls amid calls by its Women’s League for the return of the women’s quota in the presidium, threatening Mnangagwa’s prospects of succeeding ageing President Robert Mugabe. The Zanu PF 14th annual people’s conference ended in controversy with no announcement of final resolutions amid fierce factional fighting over Mugabe’s unresolved succession. However, this week Zanu PF sources said the final resolutions were ready to be sent to the provinces minus the women’s quota proposition. This is because only three provinces out of the ten proposed at the conference in their resolutions to push for the quota system. A senior politburo member close to Mnangagwa said, if six provinces had resolved to have a woman in the presidium, then Mnangagwa might have been elbowed out. The initial call for a women’s quota was made first by Mashonaland West province led by Sarah Mahoka, the Women’s League’s national secretary for finance ahead of the conference, while other provinces such as Mashonaland East, West, Central and Bulawayo followed suit. Mahoka is a close Grace ally. If the resolution was adopted, women were then to push for a party constitutional amendment using the central committee, the party’s supreme decision-making body in between congresses, to have Grace or one of her allies appointed vice-president alongside Phelekezela Mphoko, while Mnangagwa was to be redeployed. Mnangagwa allies opposed the proposed resolution, arguing that it was a non-elective conference. However, while there were plots to unseat Mnangagwa, his backers came up with a counter-plot supporting the proposal but proposing that it should be done on a rotational basis, meaning the next woman VP should come from former PF-Zapu.